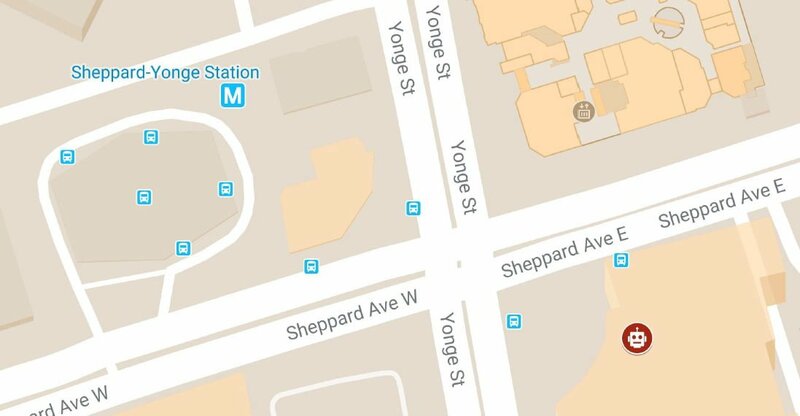 Bot Camp is centrally located in Toronto at Yonge St and Sheppard Ave in the Hullmark Centre. It is easily accessible by public transit with direct access from Sheppard-Yonge TTC station, or by car via Highway 401. Follow the exit signs for the Hullmark Centre. 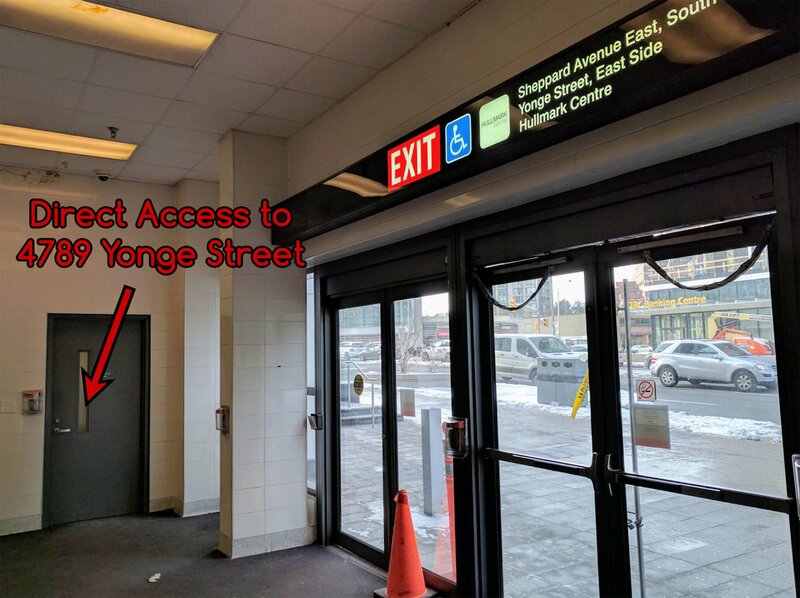 Upon exiting to the street, the main entrance to 4789 Yonge St is located just a few metres away, up the ramp/stairs. 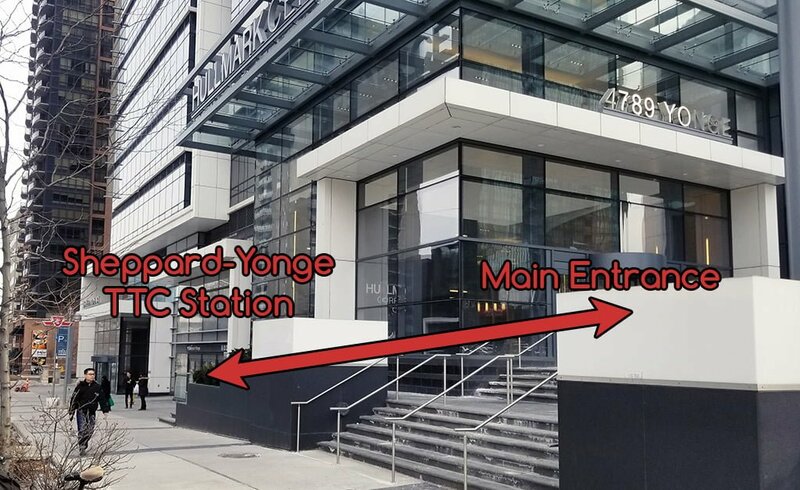 Alternatively, direct access to the lobby of 4789 Yonge Street is available through the door just left of the Hullmark Centre exit. 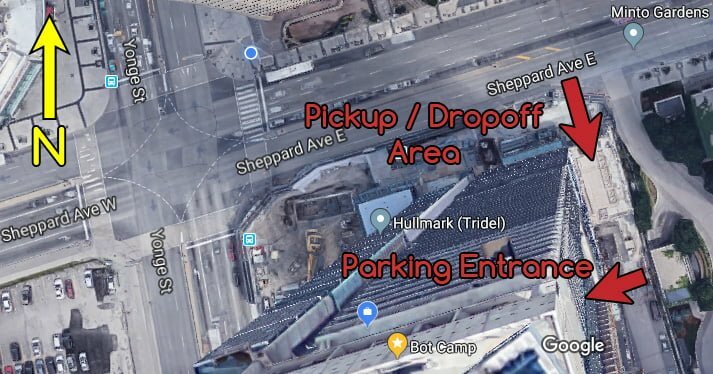 A pick-up and drop-off area for vehicles is provided behind the Hullmark Centre. Enter via the driveway on the south side of Sheppard Ave, just east of Yonge St. Underground pay parking is available at the Hullmark Centre. Enter via the driveway on the south side of Sheppard Ave, just east of Yonge St, and drive past the pick-up and drop-off area. The entrance to the underground lot will be on your right. Free parking is available with a minimum purchase at Whole Foods or Rexall. Obtain a ticket when entering the parking lot, and present it for validation when making your purchase. A limited amount of free street parking is available in the surrounding residential neighbourhoods around the Hullmark Centre, about a 10 minute walk away. For pick-up and drop-off info see our FAQ.